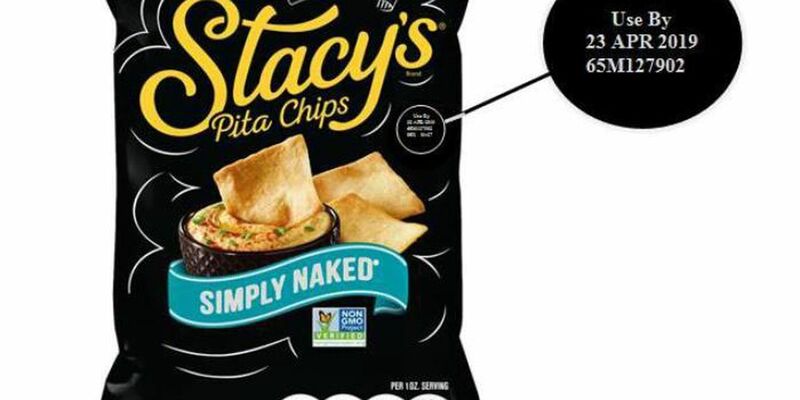 BATON ROUGE, LA (WAFB) - Frito Lay is recalling bags of Stacy’s Simply Naked Pita Chips. There has been one allergic reaction reported so far. The recalled product is a 7 1/3oz. bag with a "Use By" date of 23 APR 2019, a UPC code of “028400564632” and a nine-character manufacturing code of “65M127902” listed below the “Use By” date. Customers who purchased the recalled product may return it to a retailer for a refund or contact Frito-Lay consumer relations at (800) 352-4477 from 9 a.m. – 4:30 p.m. (CST), Monday – Friday.